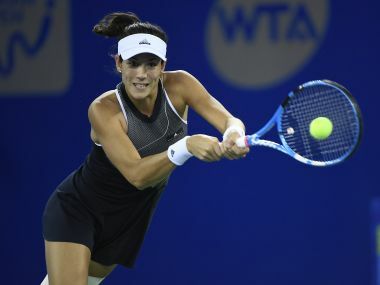 Wuhan: World No 1 Garbine Muguruza powered her way into the quarterfinals at the Wuhan Open on Wednesday, defeating Poland's Magda Linette 6-2, 1-6, 6-4 to set up a mouth-watering clash with Jelena Ostapenko. The 23-year-old No 1 seed suffered with a poor forehand in the third set but broke her opponent at 4-5 to clinch the third-round tie. Radwanska, seeded nine, looked strong in the first set but lost seven consecutive games to allow her opponent — ranked 37 in the world — to take a lead in the third.